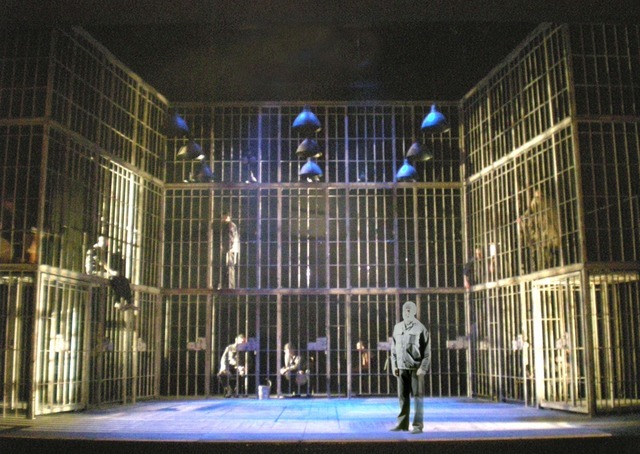 Pavelka created the Scenographic, set and costume design for a Shakespeare double bill with the all-male Propeller Theatre company, of which he is a founding member. The critically applauded production was coupled with 'A Midsummer Night's Dream' and toured both nationally and internationally through Europe, Asia and the USA. 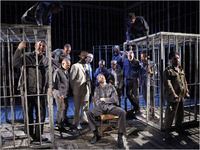 The production's conceptual frame was that of a male contemporary penitentiary that provided a plausible context for the violence, racism and other partisan allegiances that Shakespeare's play explores. 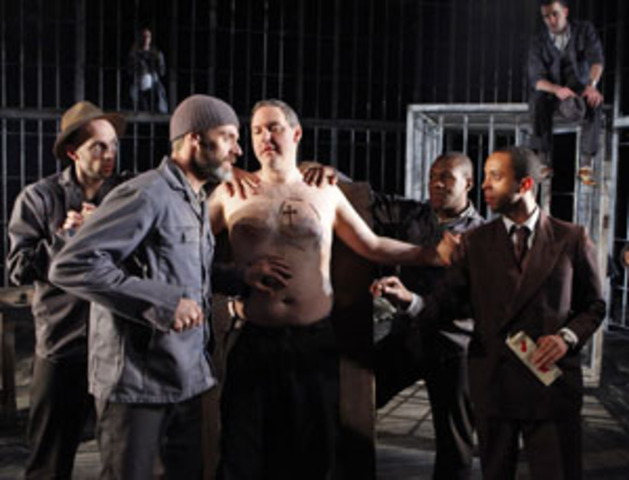 The costumes, essentially ubiquitous prison uniforms, were a canvas upon which to overlay the outward signs of identity such as status, sexual orientation and creed. The methodology for developing individual characterisation involved pooling the collective input from the ensemble of Propeller performers, thereby investing them with motivated, singular actor-ownership. 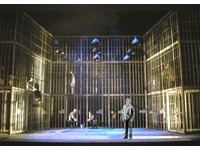 The design won the Theatrical Management Association's (TMA) 'Best Set Design' for 2009.